What do you get your husband who says that he's ready to start working out again at the local gym? 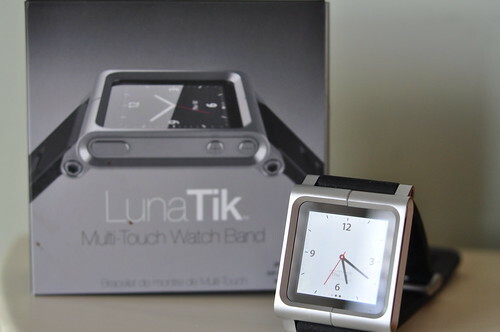 How about a Lunatik watch kit that turns a Apple Nano into a watch. He can now work out with his headphones connected to his watch, listening to his favorite tunes or even the radio. He's still getting use to it... I'm ready to "borrow" it.